Sabine Himmelsbach will give a presentation on Wed 3 November, 18:00 at Pixelache office in Cable Factory. Sabine Himmelsbach, director of the Edith Russ Site for Media Art in Oldenburg, has specialised in the last 10 years in the production and presentation of media art and has realized numerous exhibitions that broach the issue of digital culture and the societal changes brought about by digital technology. In 2011 Sabine Himmelsbach will curate the exhibition "GATE(WAY)S. Art and Networked Culture" for the KUMU Art Museum in Tallinn as part of the programme of the Cultural Capital of Europe. In her presentation, Sabine Himmelsbach will talk about her ideas, concepts and artist selections for the GATE(WAY)S exhibition. Apart from that she will also talk about previous exhibition projects (e.g. Ecomedia, Landscape 2.0, MyWar, Culture(s) of Copy), focusing on the question of content and context, curating within groups and her approach to media art in general. 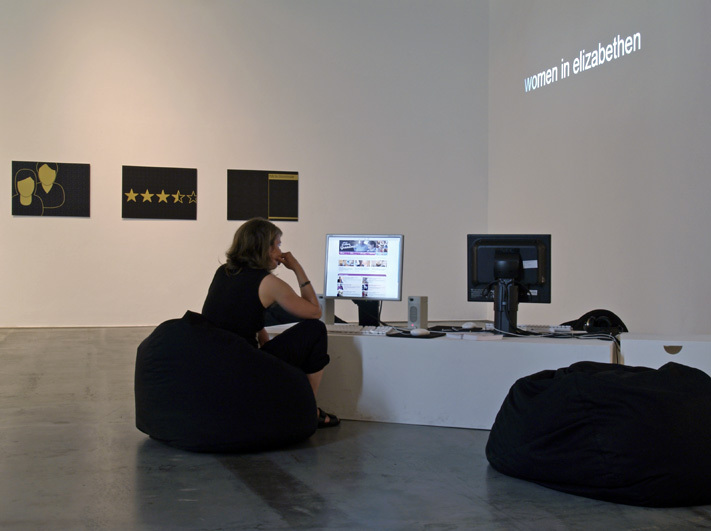 Before she took on her position as director of the Edith Russ Site for Media Art in Oldenburg, Sabine Himmelsbach has been curator and head of the exhibitions department of the ZKM – Center for Art and Media in Karlsruhe from 1999 to 2005.